oNecklace (Cutting Edge Jewellery LTD) is an international jewellery manufacturer, that deals exclusively with customised name necklaces. Inspired by the concept of personalised nameplate pendants, we opened our doors to the world in 2012 and have been creating beautiful and fashionable customised jewellery. We have a delightful range of products, designed by our skillful team of technicians who incorporate a blend of individual style along with sentimental charm. Our products are some of the most stunning and contemporary pieces of jewellery that you will come across in the market. We have necklace categories such as name necklaces, monogram chocker necklaces and brushed pendants just to mention a few. 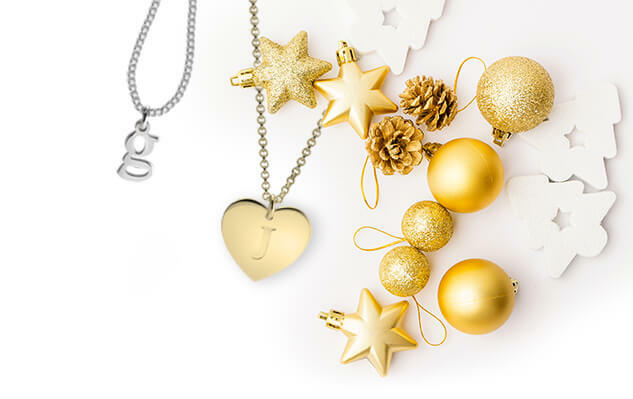 Choose between plated or pure sterling silver and pure gold or gold plated chain necklaces to adorn the name of your choice. All the wonderful creations crafted in our confines could not have been possible if it were not for our state of the art factory. 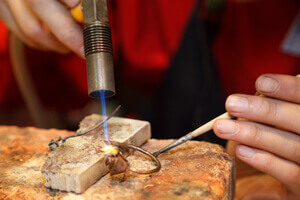 This is where the process of turning names and initials into lovely pieces of jewellery unfolds. 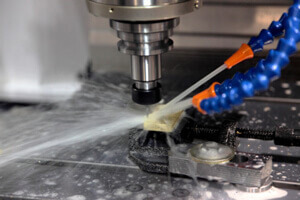 Coupled with efficient machinery and a competent workforce, we can use all your ideas while creating personalised name necklaces to meet your personal sense of style. 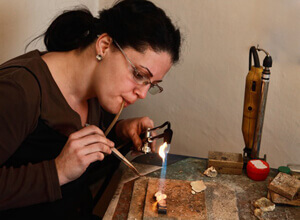 Much of the jewellery crafting work that goes into creating impeccable masterpiece pendants usually takes place in our modern production facility. 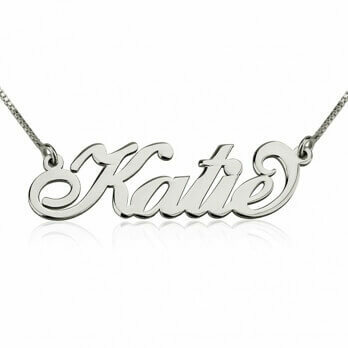 It is equipped with top of the line equipment and experienced jewelers in order to create high quality personalised name necklaces. 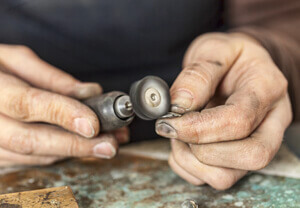 Engraving names on precious metal is an art that requires some of the best tools and expertise. For this we have a uniqe drill cutting machine which carefully takes out a chunk of the right amount of metal required to create a striking piece of jewellery. For the final touch, the polishing equipment purifies and cleans the metal used to make the necklace hence adding a dazzling radiance to the end product. Factors taken into consideration by management in support of offering the best customer experience and quality products includes use of the latest jewellery making technology, utilization of quality raw materials, client support and competitive pricing. Our top of the line necklaces are testament the high standards of creative craftsmanship and elegant beauty that is employed while creating our fabulous designs. The process of creating name necklaces, monogram pendants and other special jewellery designs can be time consuming but, once done, the great care and expert techniques used by our designers are reflected in the in the fine pieces of chain necklaces that will adorn your outfits. Packages are labeled categorized and either added to the inventory or delivered to buyers that have placed orders for a customised necklace. Our excellent customer service and efficient deliveries will ensure that you get to enjoy the best shopping experience while looking for a gorgeous piece of jewellery adorned with the name of your choice. We offer clients some of the very best services in order to deliver a pleasant buying experience. Paired with top class manufacturing facilities and our excellent jewellery makers, you can be certain of getting quality products from oNecklace.com, your one stop shop for the perfect name pendant. 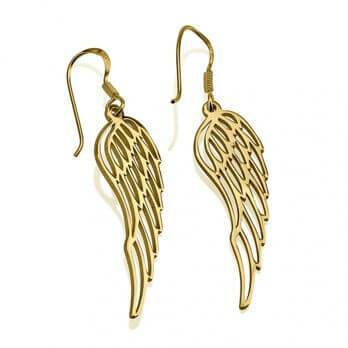 Our factory also ensures to source genuine silver and gold for making jewellery. We have pure sterling silver with purity levels of up to 92.5% and 24 karat gold jewellery to create the customised jewellery design of your choice. For the gold and silver plated necklaces, other metals are also added to the alloy to create a strong and durable factory necklace that offers you true value for your money.